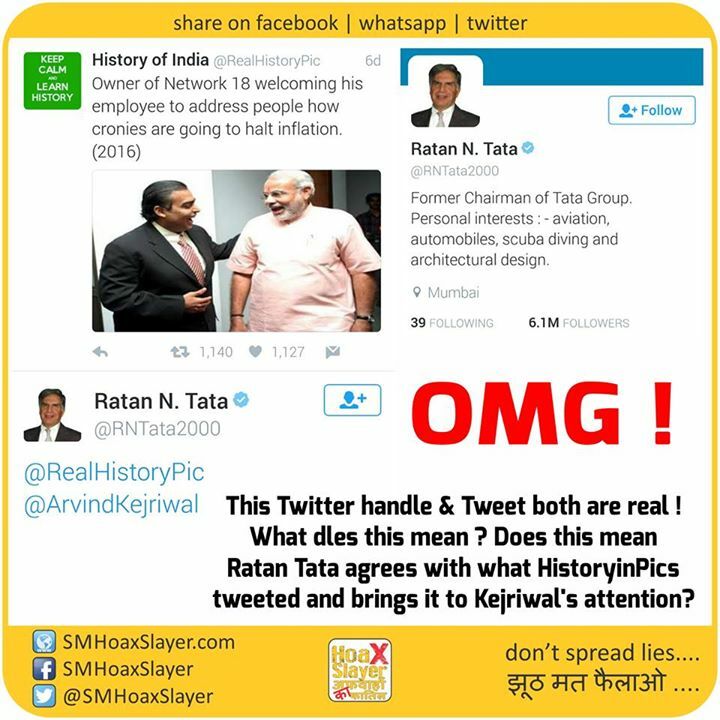 This Twitter handle & Tweet of Ratan Tata both are real ! What dles this mean ? Does this mean he agrees with what History in Pics tweeted and brings it to Kejriwal’s attention?